If the American Tennis Association, the oldest professional sports league for blacks, was going to put on an annual national championship, it was going to have to show out. When executive committee members met Feb. 3, 1917, at founding father Ralph C. Cook’s home in Baltimore, they realized nobody wanted the championships to merely be a sporting event, the Baltimore Afro-American reported. The 2 1/2-month-old organization already had tennis enthusiasts from Alexandria, Virginia; Baltimore; Chicago; New York; Philadelphia; Washington, D.C.; and Wilmington, Delaware, interested in competing for a national trophy. The dates were set as well: Aug. 27-Sept. 1. “Prospective entrants will have to pay $1 a team for doubles. Cups will be awarded to winners,” the Afro-American reported on July 7, 1917. In order for a player to keep the cup, though, he or she would have to win an event three years in a row. If people were prepared to make the long treks required to play the tournament, the executive committee believed it needed to pick a venue and entertainment to match the occasion. Druid Hill Park, which was a few minutes away from Cook’s home, was selected as the inaugural court for the ATA national championships. Druid Hill Park had a good reputation for holding large swaths of people. Tally Holmes, the ATA’s treasurer, had just played in what the Afro-American described as “undoubtedly the most successful tennis tournament ever held in this city,” in September 1916. Another point of appeal for Druid Hill Park was its stadium-style tennis courts. If you drive up to the park today, you can still see the courts in the black-designated section of the facility. Several of the courts are on even ground, but the stadium-style courts sink into the gully and allow for tennis spectators to take a seat on the grass and view the action in front of them. Also at that time, Baltimore’s tennis club had demolished its counterparts in Philadelphia and Wilmington in the Eastern Tour event, before the Baltimore boys were beaten thoroughly by the New York team. Much was made of trash talk between the four cities and how much the men from Philly and Wilmington wanted to beat the Baltimore boys on their home turf this time around. “This tournament … will bring to Baltimore ‘raqueteers’ of the first rank from all over the country, and all of the local artists are on tiptoes perfecting forms and strokes. The local stars promise nothing but tennis of the highest order during the tournament,” the Afro-American wrote on Aug. 25, 1917. Winford J. Braxton, the president of the Monumental Tennis Club of Baltimore, was in charge of preparing the entertainment for both the social and athletic parts of the tournament. A local reception was held at the YMCA. When the boys from Baltimore traveled to other cities for tournaments, the Afro-American reported that they were often provided dinner and taken to a movie and a stag. “Many social functions have been planned by tennis enthusiasts of the city, while the Monumental Tennis Club will entertain with elaborate opening and closing gatherings,” the Afro-American wrote on Aug. 25, 1917. Baltimore and Druid Hill Park are once again playing host to the ATA’s National Championships, as the tournament returns to its humble beginnings for its 100th event. 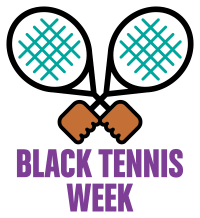 Black tennis fanatics will flock to Charm City through Aug. 5 to compete in and celebrate the tournament. Rex Miller, director of Althea, a documentary about Hall of Fame tennis icon Althea Gibson, will play in the ATA senior men’s doubles tournament this week with Dr. Robert “Whirlwind” Johnson’s grandson, Lange. Robert Johnson coached Gibson and Arthur Ashe. “We’re getting to come together and play in the tournament that Althea played, [Lange’s] grandfather played, and so we hope to do some damage in the men’s doubles,” Miller said.